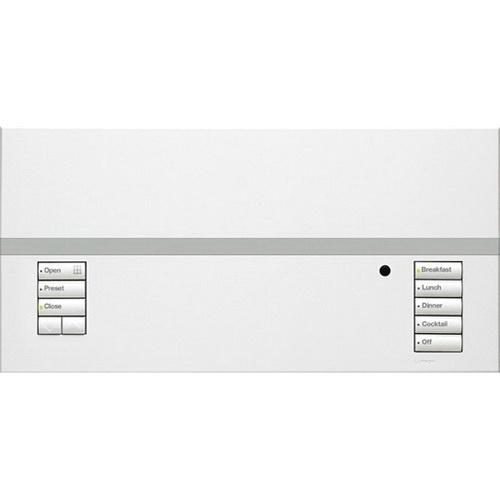 Lutron Grafik Eye® QS 4-Zone Grafik eye QS wireless main unit has voltage rating of 120 - 127-Volts and 220 - 240-Volts at 50/60-Hz. Unit in matte finish, has maximum load capacity of 800 VA at 120-Volts, 1200 VA at 220 - 240-Volts. Wall box mountable unit measures 9-3/8-Inch x 2-3/8-Inch x 4-11/16-Inch. It is ideal for commercial/residential applications. Unit operates at temperature range of 0 to 40 deg C. Wireless main unit is UL listed, CSA/CEC/NOM certified and FCC approved.